Hofner's legendary Violin Bass is now available as part of the Contemporary Series. Featuring the distinctive looks of the original but with the playbility of a more modern instrument. As with all other Contemporary Series semi-acoustic guitars, the Violin Basses are equipped with an internal centre sustain block to reduce on-stage feedback. 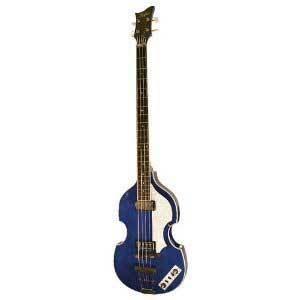 The only official re-creation of the bass made famous by a certain Beatle.